I have been going through a rough patch with my nails lately. Seems that the gel dries them out too much, polish only stays on for about 3 days for me before it starts chipping and then I pick off the rest. Right now as you can see from the picture below they are at their ultimate shortest and most pathetic. I popped into Ulta yesterday (check out there 21 days of beauty steals until April 5th) to stalk every department as usual and to try and figure out what my options where when it came to my sad nails. I thought about just buying a couple of fun spring polishes but when you have stub nails you are really not in any mood to show them off with a bright happy color. Dark? Ugh no way, why draw more attention to them? OK so color was out. Nail wraps are great but it’s really not me having such busy nails. I like to switch it up a bit but not on all 10 nails. Salon=Expensive didn’t want to go down that route again. 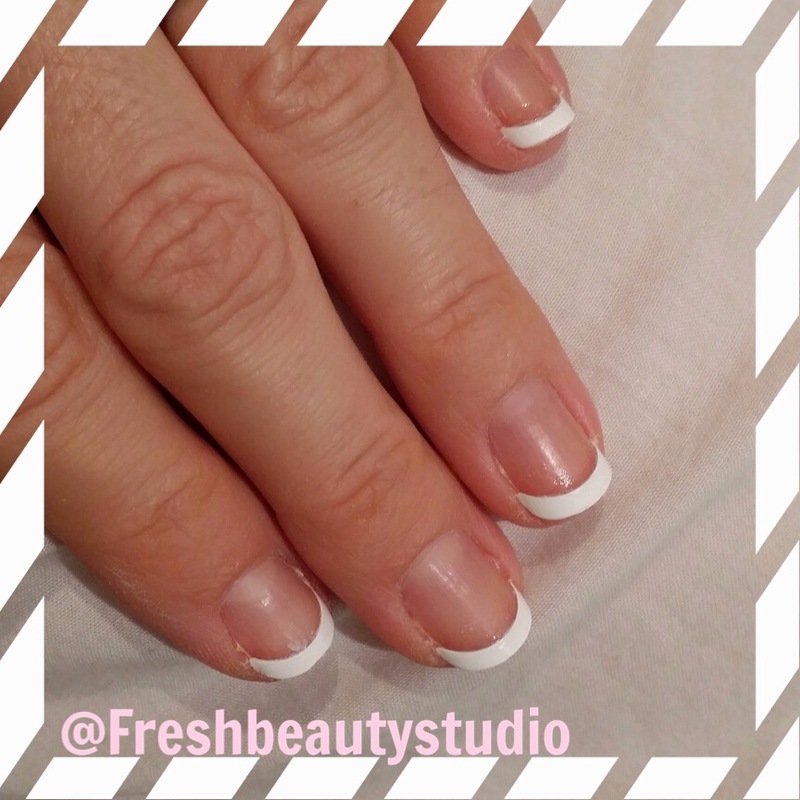 So I went back to my tried and true look the classic French that is always appropriate and makes you look like you have longer nails than you really do. 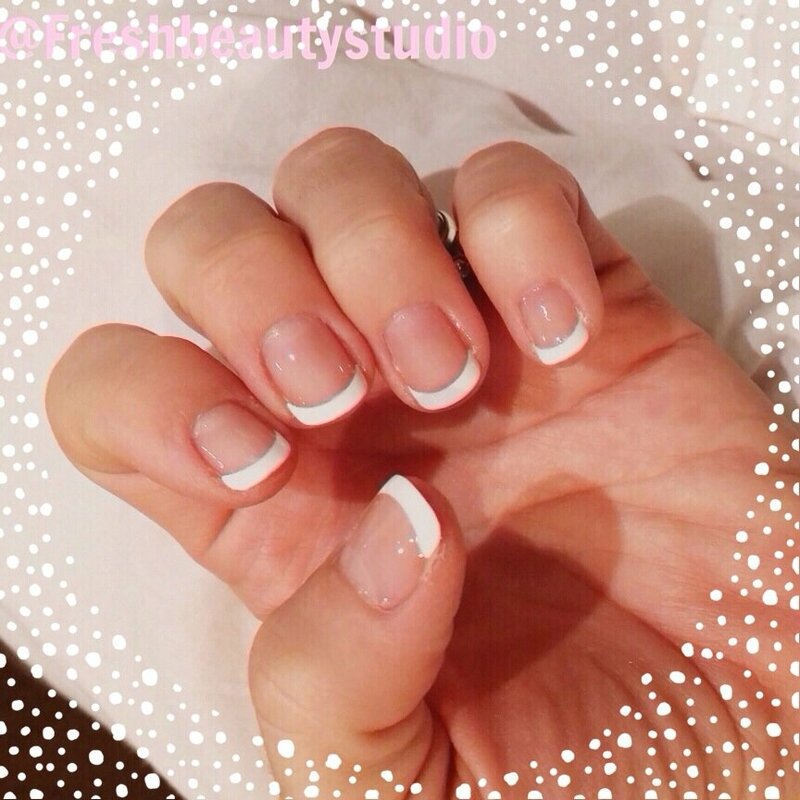 The French manicure is really my fall back combo when I want low maintenance and my nails are ultra short. So to my delight I found the PERFECT let me repeat PERFECT solution to my little nail problem. 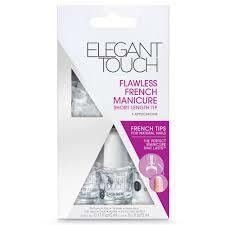 I found Elegant Touch the makers of the flawless French manicure, these are French tips for natural nails. I didn’t think that I would be that impressed but just look at the pictures below! Are you kidding? I did this in under 15 minutes with no mess and no crazy trying to paint a perfect white tip on my nails. I would have definitely used these for my wedding and honeymoon. The kit retails for $14.99 which includes 56 French tips, 14 sizes, base seal, tops seal, glue, buffer and instruction leaflet. I had my Ulta coupon for $3.50 so my grand total was $12.08 with tax and that is for 4 applications. Cost per application comes to $3.02 WHAT? Now there is no reason you can’t have an affordable Chi Chi Chi salon looking manicure all the time. I couldn’t help but think of new Mom’s that can’t get out with their new baby, or the working girl’s schedule that is so packed it’s impossible to make a salon appointment. This is your answer! 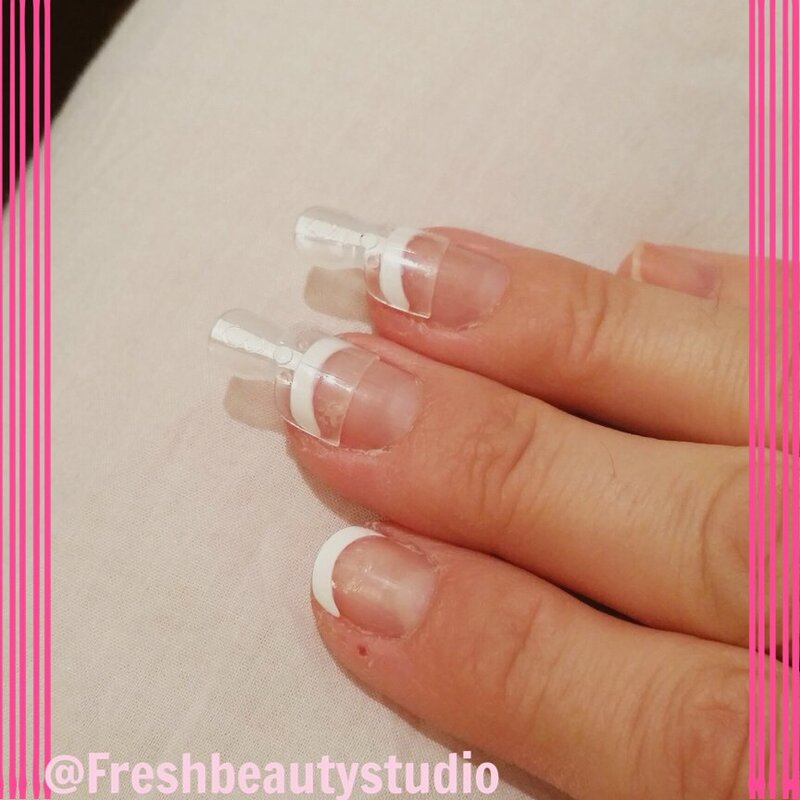 Simple, gorgeous and best of all they are only tips so they do not damage your nails they actually help protect your tips so you can grow out your nails. 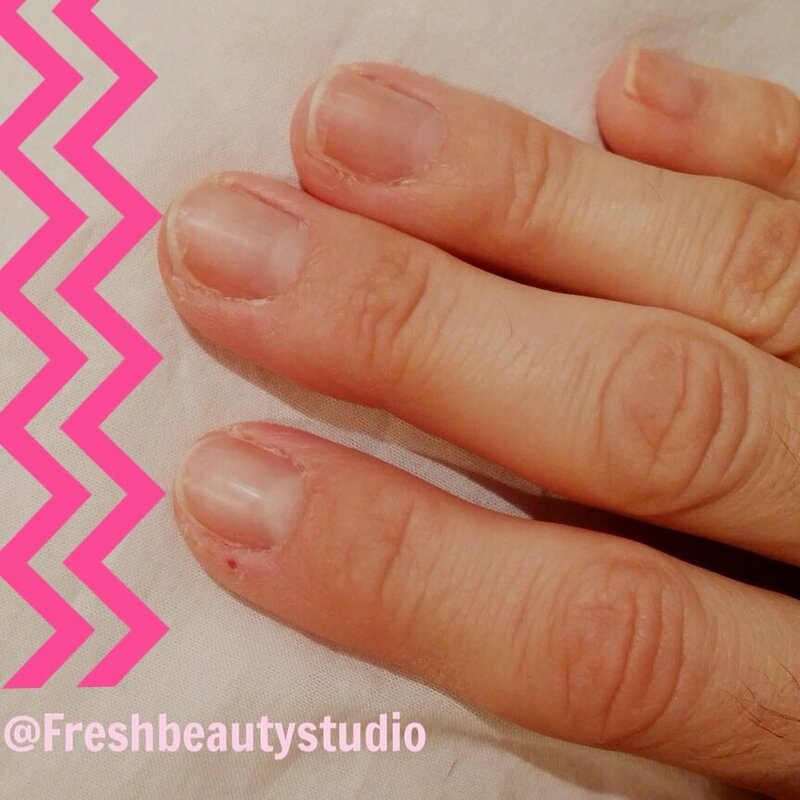 Nails before were short, uneven and peeling. What my nails looked like with the clear base coat and top coat. Great idea ! I’ll have to try it ! Oh I meant to ask you about these! Virginia Hagopian Parmigiano liked this on Facebook. Aubrey Chandler liked this on Facebook.